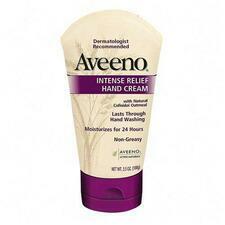 Aveeno Intense Hand Cream locks in moisture to form a protective glove against the elements. Provides 24 hour moisturization. 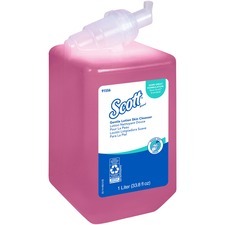 Lasts through hand washings. Smoothes dry skin and is non-greasy. Contains natural Colloidal Oatmeal. Inspire budding chefs to prepare gourmet meals with this play kitchen refrigerator. Large cabinets offer a generous storage space for keeping play items neatly organized. Laminate is durable and features an easy-to-clean surface. KYDZSafe rounded edges allow children to play safely without getting hurt by sharp edges or corners. Kickplate prevents children from losing their favorite toys underneath. Full-length piano hinges prevent small fingers from being pinched when the door is opened or closed. TRUEdge is permanently thermo-fused to the edges to prevent chipping. Dowel-pin construction prevents weakening at the joints. Standard Write-n-Wipe recessed backs can be easily wiped clean. 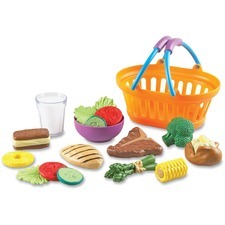 Play dinner food set encourages early imaginative play to provide a tactile and visual learning experience. Durable, soft plastic pieces are safe for children to use. Set includes a basket, glass of milk, steak, grilled chicken breast, asparagus bundle, baked potato, broccoli, corn, empty bowl, lettuce leaves, tomato slices, cucumber slices, pineapple ring and ice cream sandwich. Food set is designed for children ages 2 and up. 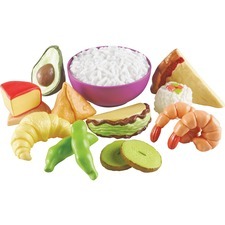 Classroom food set features many popular multicultural foods as well as some favorite staples that are sized perfectly for little hands. Realistic designs invite early imaginative play, build vocabulary and reinforce healthy eating. 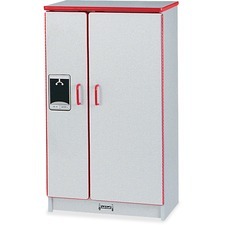 Soft, durable construction can be easily wiped down to maintain sanitary classroom conditions. Food set is designed for children ages 2 and up. 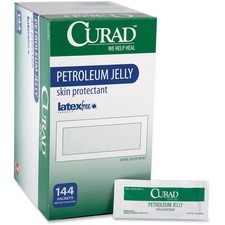 Petroleum jelly moisturizes rough, dry and chapped skin to provide soothing comfort. Petroleum jelly is great for use with infants by soothing diaper rash. Ointment is latex-free and comes in tamper-evident, individual packages. Pocket protectors protect your shirt pockets from pen leaks. 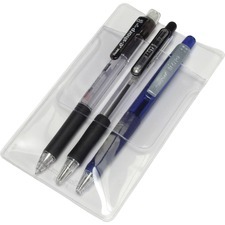 Made of transparent plastic. Each pocket protector meets or exceeds standard for RoHS compliance for lead, mercury, bromine, chrome and cadmium. Cat truck offers the perfect ride for anyone who has a little construction lover. The large steering wheel on the front with featured controls mimics real truck sounds and creates an exciting ride for children to imagine driving to their construction site. 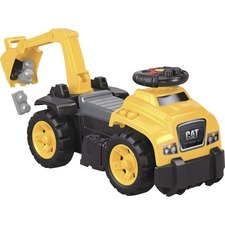 Turning around in his seat, your construction fan can take control of the pivoting excavator arm and scoop up the included cat-themed blocks just like a real loader. Store these blocks and more under the seat in the storage area, tuck in the excavator arm, and your little tractor driver is ready to roll on to his next job. Plastic truck is designed for children ages 1 to 3. 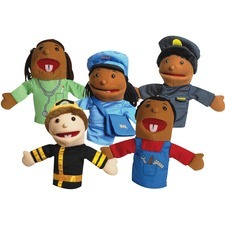 Career puppets give children a great way to begin learning about community helpers. Puppets can be surface-washed for convenient cleaning. Set includes a medical professional, postal worker, police officer, firefighter and carpenter. Puppets are designed for children ages 2 and up. Gentle Lotion Skin Cleanser is designed as a refill for Kleenex Skin Care Dispensers. Gentle Lotion Skin Cleanser creates a rich, creamy, easy-to-rinse lather that is pH-balanced to be gentle on the skin. Refill includes a fresh pump for greater hygiene.